Latest news: All places for all nationalities complete. Thank you for your interest!! Join Biodiversa in the training course “Youth for Rivers”, which will take place in Aghveran, Armenia, from 6th to 12th October 2013. Almost all expenses are covered by the Youth in Action Programme of the European Commission, you can’t miss this opportunity! Apply now! 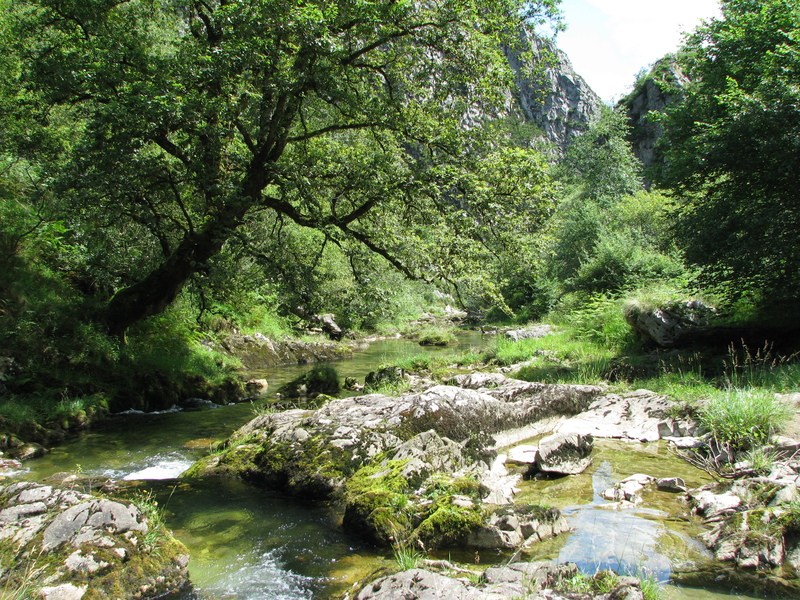 Project description: Europe has been facing problems with rivers in all its member countries. The consequences of human impact are of a large-scale and affect not only particular ecosystems of each river, but also our health since water is essential for life. Improvement of all water bodies is necessary. Some of the leading examples of the poor state of rivers can be found in Armenia. Being aware of the situation, 13 youth environmental organizations decided to join forces, meet for one week to learn about how to help improve river ecosystems, how to take the lead in environmental citizenship and finally, how to organize volunteers for the purpose of increasing sustainability. The training course ‘YOUTH FOR RIVERS’ will gather 26 young Europeans from 11 countries (Czech Rep., Portugal, UK, Italy, Latvia, Romania, Spain, Russia, Armenia, Moldova, Ukraine) with the aim of equipping the participants with practical tools and knowledge to be able to contribute to the development and improvement of the state of European river systems. The young leaders will learn through non-formal education; field visits, common actions, sharing of knowledge and experience to become multipliers in their own organizations. The project shall take place from 6th to 12th of October 2013 in Aghveran, Armenia and aims to empower European youth to take an active role in the conservation of water resources. Youth and Environment Europe (Czech Republic) is the applying organisation, Khazer(Armenia) is the hosting organisation and Biodiversa is one of the sending organisations. Biodiversa will be in charge of a big part of the training and facilitation for this course. The participants will be accommodated in a rest house in Aghveran recreation area (50 km to North from Yerevan), which is situated close to the Arzakan town in Kotayq Marz of Armenia. Aghveran is famous for its mountains covered with virgin woods, streams rolling down the hills, crystal clear mountain air full of oxygen and far from the hustle of the big cities. As well Aghveran is near by Arzakan-Meghradzor State Sanctuary, one of the most famous forests of Armenia. It’s right in the center of Armenia which will allow the participants “Youth for Rivers” to easily travel to Akhuryan river and Lake Sevan. Participants will be youth workers or youth leaders of age 18+, able to work in English, motivated and interested in the topic. Spanish nationality and current residence in Spain are essential. Preference will be given to existing members of Biodiversa and to people from Asturias or other areas in the north atlantic coast of Spain. Accommodation and food at the training course venue are fully covered by the organizer during the activity dates. 70% of travel expenses will be reimbursed on presentation of relevant receipts. Participants must choose the cheapest travel option. The organization only reimburses public transport costs (no taxis will be reimbursed). The reimbursement will be made by bank transfer only after receiving the return tickets. According to the rules of the Youth in Action Programme, participants can arrive no more than two days before the start of the activity and can leave no more than two days after the end date of the activity. Note: Participants must be members of Biodiversa in order to attend this training course. Membership costs 15 € and gives full membership rights for the whole natural year. In brief: participants will only have to cover 30% of their travel costs plus Biodiversa membership. 5. Tell us about yourself, what do you do and why? 7. What do you expect to learn? 8. How do you plan to apply what you learn? Deadline for applications: Open until we cover the last available place. Y que pasa, ¿que sólo los jovenes viven en el mundo?. ¿Los que pasamos de 40 ya somos “viejos” y un estorbo, no?.